Brand new iPod Nanos also joined Apple's iPhone 5 party at the Moscone Center today. 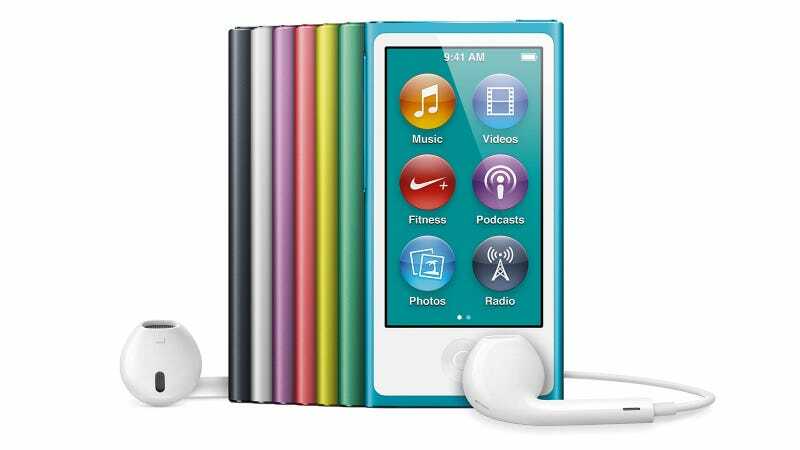 The totally redesigned junior MP3 players have a larger display, and come in seven beautiful candy-hued colors. The new iPods also have Bluetooth for the first time as well as the brand new lightning connector and the longest battery life the device has ever had. The new Nano is $150 for 16GB and will be available in October. Anticipate this on your kid's Christmas list.